1839 VULCANIZATION: The process of changing the physical properties of rubber through application of sulphur and heat was first perfected in America by Charles Goodyear. 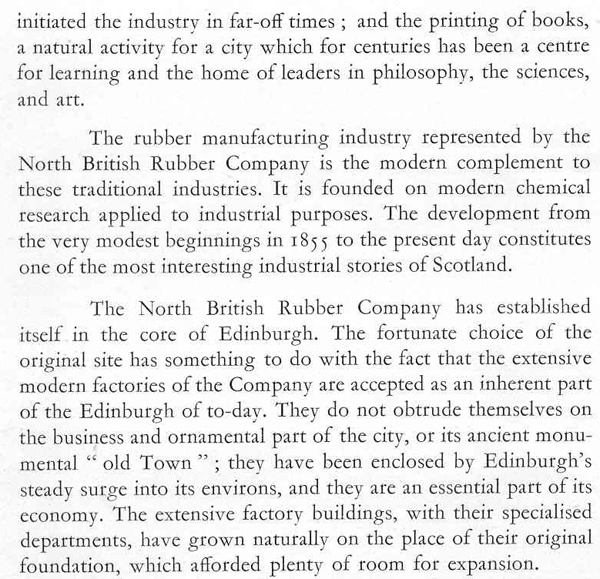 1846 SOLID RUBBER TYRES: Rubber manufacturer Thomas Hancock, who was conducting similar research in England, met with the same success as Goodyear. The solid tyre was initially was used on carriages and steam-driven vehicles, and subsequently adapted for bicycles. 1845 THOMPSON AERIAL WHEEL: Scottish inventor Robert William Thompson was the actual inventor of the pneumatic tyre, and his earliest patent for it is dated 1845. 1868 SOLID RUBBER TYRES: Michaux fitted solid tyres to some of their velocipedes between September 1868 and April 1869. 1882 THOMAS B. JEFFERY CLINCHER TYRE PATENT: Thomas B. Jeffery was an inventor and bicycle manufacturer who, with his partner, R. Philip Gormully, built and sold Rambler bicycles through his company, Gormully & Jeffery Mfg. Co, in Chicago from 1878 to 1900. His clincher tyre, like the Bartlett clincher tyre, had no wire beads. They held fast to the rim by pressure and the shape of their clincher beads. I’m not sure why the patent date is 1882 yet he did not introduce them to America until 1892. Perhaps the patent was sold to Dunlop? 1888 DUNLOP: J.B. Dunlop invented the inner tube and patented the pneumatic tyre. It was essentially a hosepipe inside an outer rubber tyre with treads. But the patent was reversed two years later because of Thompson’s previous patent. Dunlop Cycle Co Ltd of Coventry was a separate concern, and this company became the Ariel Cycle Co Ltd around 1897. Bicycles were made for J.B Dunlop by Edlin & Co of Belfast. J.B. Dunlop patented a spring-frame bicycle called the Flexible, which was actually built. British patent date was 12th October 1889 and US patent December 1890. 1890 WELCH DETACHABLE WIRE BEAD TYRE: Some means had to be found to fix the tyre securely to the metal rim yet still allow for demounting and remounting it during repairs. First to develop a detachable pneumatic was Charles K. Welch of Tottenham, London, who filed a patent on it in September 1890, just ahead of others working on similar refinements. Unlike the Jeffery or Bartlett clincher tyres, his tyre used the wire-bead design we are more familiar with today. Dunlop promptly bought the patent. 1890 BARTLETT CLINCHER TYRE: William K. Bartlett of North British Rubber Co patented a similar tyre just five weeks later. Mr Bartlett got the jump on competitors merely by broadening an earlier patent application for a detachable non-pneumatic tire to include pneumatic construction as well. The Bartlett Clincher tyre subsequently became the first detachable pneumatic introduced to the market. Dunlop Pneumatic Tyre Co bought the Bartlett patent in 1897. 1891 WOODS TWO-WAY TYRE VALVE: The earliest tyre valves provided for easy inflation but not deflation. So inventor Charles H. Woods developed a valve that facilitated both operations. His two-way valve became standard in Great Britain and elsewhere and remains in use today. 1891 MICHELIN BROTHERS REMOVABLE PNEUMATIC TYRE: Edouard and André Michelin introduced the removable pneumatic tyre, which allowed the rider rather than a mechanic to fix a puncture quickly and efficiently. They used pneumatic tyres on a car for the first time in the 1895 Paris-Bordeaux Race. 1892 G&J AMERICAN BEADED-EDGE TYRE: The beaded-edge tyre made its American debut in 1892, produced by Gormully & Jeffrey. 1892 BROWN & STILLMAN PNEUMATIC TYRE: Alexander T. Brown and George F. Stillman, of Syracuse, N.Y, patented a pneumatic tyre for horseless carriages. I know the recent history of this bicycle, over the past 30 years. My friend Phil bought and sold this pneumatic tyre safety bicycle in the 1990s. For the past 20 years it was owned by top collector Tim Dawson, who wrote an article about it and its pneumatic tyre. However, neither Tim not its previous owner were able to tie down its manufacturer. Tim fitted a 28″ beaded edge tyre to the 30″ front wheel – he must be a magician, I certainly don’t know how to do that! And it has a matching beaded edge tyre on the 28″ rear wheel. He also made a new leather top for the saddle. Unfortunately its early history is unkown. It has a lot of similarities with the Sparkbrook illustrated in their 1893 catalogue (below), though obviously by 1893 that company had progressed to ball socket steering rather than the open steering on the earlier machine featured here. We may never find conclusive proof of the maker of this wonderfully preserved bicycle, but it is of serious historic interest and worthy of a museum exhibit. Because, as well as having survived in such complete and original unrestored condition its other attribute is that it retains its original 30 inch pneumatic front tyre, though it is not suitable for fitting to the wheel. I’ve photographed it separately. Below, you can see the front and rear Bartlett Clincher Rims, with their unique style of valve seat. William Erskine Bartlett was born at Granby, Hampshire, Mass., USA in 1830. He emigrated to Scotland around 1870. In 1891, the Bartlett Clincher tyre, produced at Castle Mills, Edinburgh, became the first detachable pneumatic introduced to the British market. Having purchased the Westwood rim patents as well as other pneumatic tyre patents, the Dunlop Pneumatic Tyre Co bought the Bartlett patent in 1897. 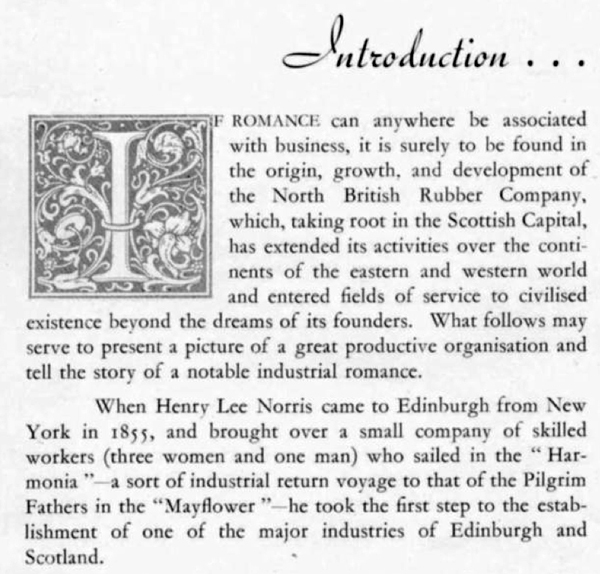 The North British Rubber Co was renamed Uniroyal in 1966.